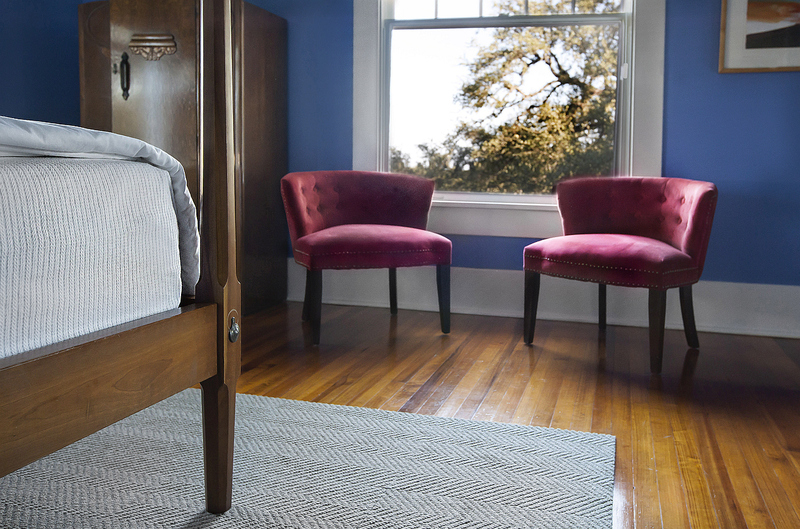 With our only Queen bed, the Bluebonnet Room is the perfect size for singles or couples. It features a four poster Queen bed, en suite private bath, striking blue walls, and lots of windows bringing in the sunlight making it is a very pleasant place to stay. The bed linens are Sferra Italian cotton covering our certified asthma and allergy friendly SmartSilk™ pillows and comforters. The en suite bathroom includes an in room sink plus a private WC and single shower. There is a comfortable easy chair next to a large window overlooking the front yard, a great spot for reading or just relaxing. Add to that a 40 inch HDTV with unlimited Netflix and Hulu plus free high speed secure WiFi for all your devices. This room can optionally be connected to the Pecan Room to form a suite, perfect for families or friends who want to stay close together. 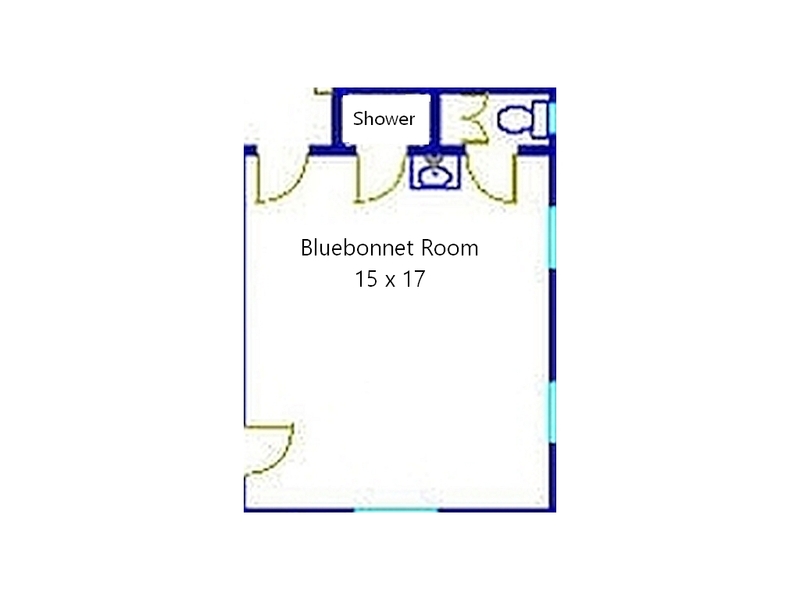 A Queen bedroom with shower, optionally connects to Pecan Room.